Amazon has made a huge announcement today—as its voice assistant Alexa has finally launched in Canada. With Echo, you can ask it to play music, read the news, make hands-free calls, control your smart home devices, ask questions about traffic and sports, set timers and to-do lists, check your calendar and more. Amazon Echo is the company’s voice controlled smart speaker, with far-field voice control so it can hear your commands from across the room, available in three colours: Sandstone, Heather Grey and Charcoal. Amazon Echo Dot is a smaller device, which you can add to any room and also pair with additional speakers via Bluetooth or a stereo cable, available in black and white. 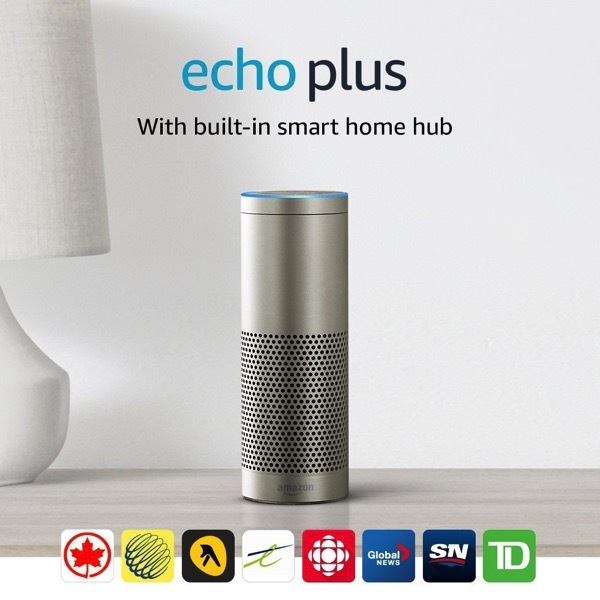 Amazon Echo Plus includes all the features of Echo but includes a built-in ZigBee smart home hub, allowing you to control Alexa when you’re not home, available in Silver, White and Black. “Tens of millions of customers are already using Alexa, and today we’re excited to bring her to Canada with an experience designed from the ground up for our Canadian customers,” said Tom Taylor, Senior Vice President, Amazon Alexa, in an issued statement to iPhone in Canada. Alexa in Canada, according to Amazon, delivers an “all-new experience”, with a new English voice with Canadian accent (eh! ), including local knowledge and skills. 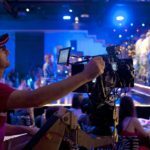 Amazon says over 10,000 skills will be available for Canadians from companies like Air Canada, TD Bank, TELUS, CBC, The Weather Network, Bank of Montreal, Manulife, Aviva, Yellow Pages, and more. 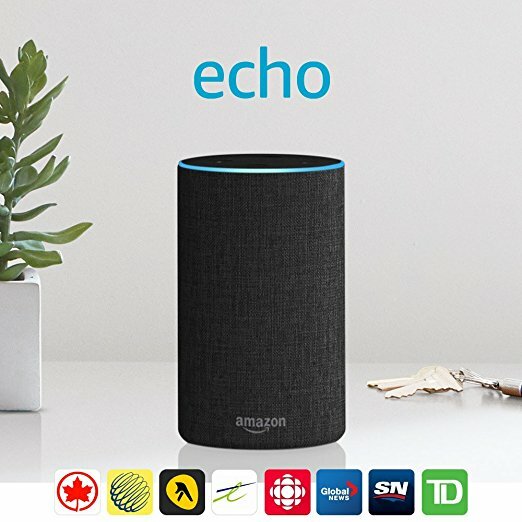 Echo devices are available for pre-order today on Amazon.ca for a December 5 launch. They will also be available at Best Buy, The Source, Staples, TELUS, Bell, Bed Bath & Beyond, and TSC: Today’s Shopping Choice. Also available today is Amazon’s new Smart Home Store, which lists all smart devices available for purchase from a variety of manufacturers. This includes the Canadian launch of the ecobee4 smart thermostat for $329, while the Schlage Sense touchscreen deadbolt now also supports Alexa for $221. Also launching today is Prime Music, which brings over 1 million ad-free songs free for Prime members, which you can listen to on any Echo device, which includes offline listening. There a variety of genres available on Prime Music, plus mixes exclusively featuring Canadian artists, such as “Made in Canada: Rock and Alternative,” to “Quebec Country Now,” “Acoustic Commute,” and “Chanteuse Québécoise.”. Amazon Music is available on Echo, iOS, Android, Mac, PC, Web, Fire TV and select automobiles. 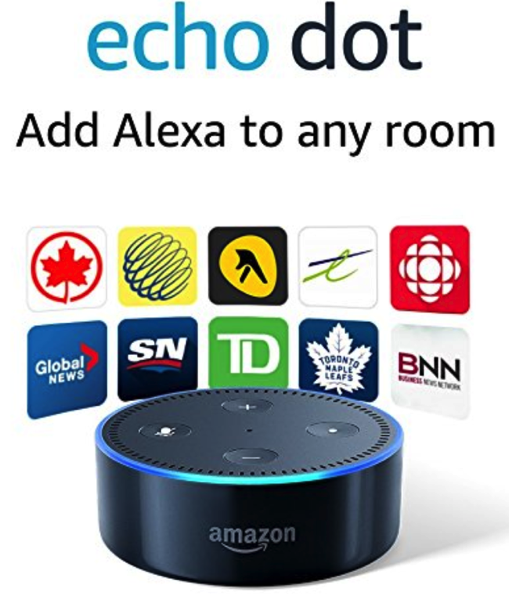 Click here to check out these new Echo devices on Amazon.ca, and pre-order them with the promo introductory pricing. Let us know what you’re going to jump on.